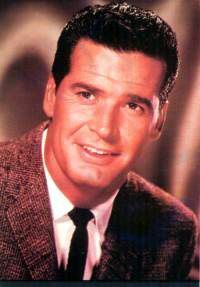 James Garner was the first man drafted from Oklahoma for service in the Korean War. He was wounded in action, and earned a Purple Heart. Garner's first major role was on the TV western, Maverick. The show was a huge hit and Garner was its breakout star, but during a writers' strike in 1960, the studio suspended production of the show, and stopped paying the actors. Garner considered this a breach of his contract, and refused to return when the strike was settled. He was sued by the studio, and won, and stayed away from television work for the next decade. His movies include the discreet lesbian drama The Children's Hour with Audrey Hepburn and Shirley MacLaine, the rousing all-star action flick The Great Escape, the Doris Day comedy Move Over, Darling, the western Support Your Local Sheriff, Raymond Chandler's Marlowe, the anti-war comedy The Americanization of Emily, the psychothriller The Fan, the heartwarming Murphy's Romance with Sally Field, and Blake Edwards's farcical Victor/Victoria. Garner was best known for his TV work, including Maverick and The Rockford Files, and he reprised his characters from both shows in TV updates and, for Maverick, a feature film with Mel Gibson and Jodie Foster. Garner's best TV series might have been Nichols, which lasted only one season, with Garner as a laid back and slightly shady sheriff in an early-1900's Arizona town. He was an ardent fan of pot: "I started smoking marijuana in my late teens. I drank to get drunk but ultimately didn't like the effect. Not so with grass. Grass is smooth. It had the opposite effect from alcohol: it made me more tolerant and forgiving... I smoked marijuana for 50 years. I don't know where I'd be without it. It opened my mind to a lot of things, and now its active ingredient, THC, relaxes me and eases my arthritis pain. I've concluded that marijuana should be legal and alcohol should be illegal. But, good luck with that." In made-for-TV movies, he played a co-founder of Alcoholics Anonymous in My Name is Bill W., and made leveraged buyouts seem almost fun in Barbarians at the Gate. After John Ritter's sudden death, Garner popped up as "Grandpa" on the sit-com 8 Simple Rules.